This fish curry reminds me so much about home and Ma’s cooking. While growing up I never realized that as a daughter I shall have to move out of my parents’ home one day. I took Ma for granted and did not pay much attention to her cooking. I guess we were a heartless lot - neither my sis nor I, or even Deta for that matter, ever complimented her on any dish. And she is such a fabulous cook! Today, I wait for the husband’s appreciation on any little thing that I come up with. So, I can imagine how it would have felt like on not getting any word of encouragement from the family. 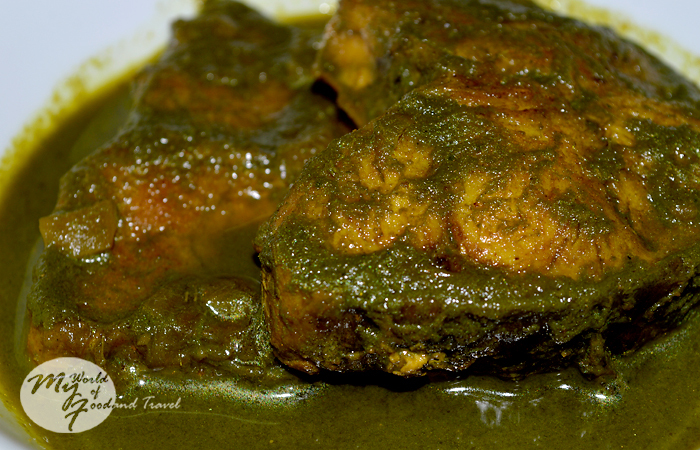 Coming back to the fish curry, it is a much-loved Assamese dish. Almost every household has (had?) a kitchen garden where there would be herbs, vegetables and fruit of various kinds. One just had to step out to the kitchen garden, pick out the choice of herbs and vegetables and come up with a delicious lunch/dinner. At our Guwahati home, we have a nice, big noroxingho (curry leaves) plant which would yield aromatic, tender leaves for scores of fish curry. When we were living in Dehra Dun, we found that there were many curry patta plants growing wild in the lichi orchard in front of our home. While we were delighted with the find, the neighbours were confounded to see us taking so many leaves of the plant. 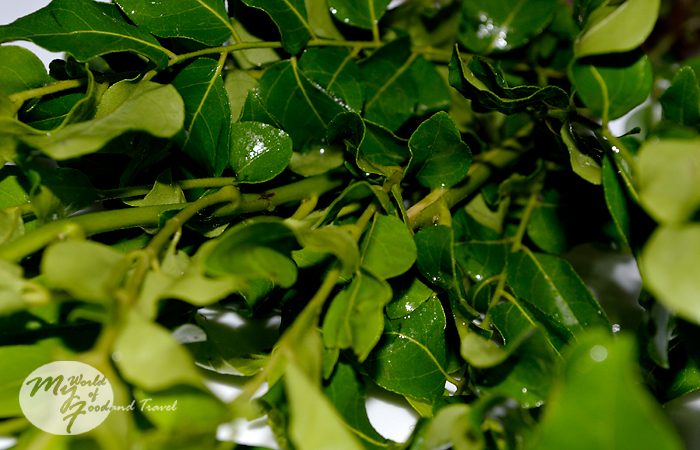 “Aap kya karte ho itne saare patton ke saath?” (What do you do with so many curry leaves?) We would be asked with raised eyebrows. Thankfully, we are no more asked the same thing here in Bangalore. Here, people buy truckloads of curry leaves! But unfortunately, the Assamese palate of the husband cannot tolerate curry leaves as part of a ‘tadka’ (tempering) as it is preferred here, though I love it a lot. 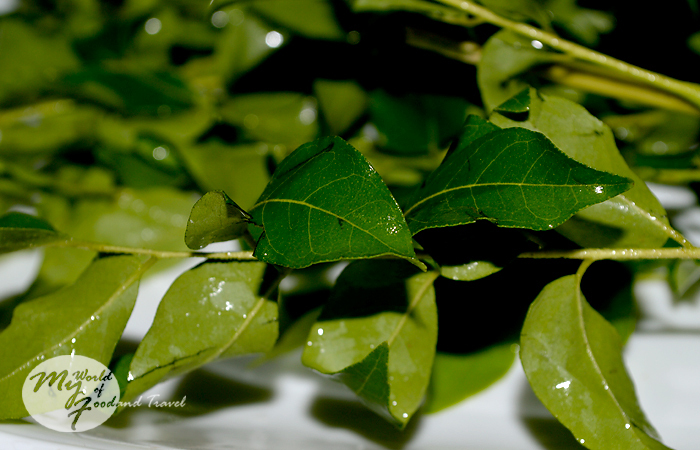 Hence, we continue to create a little Assamese corner in this South Indian realm and make fish in curry leaves. 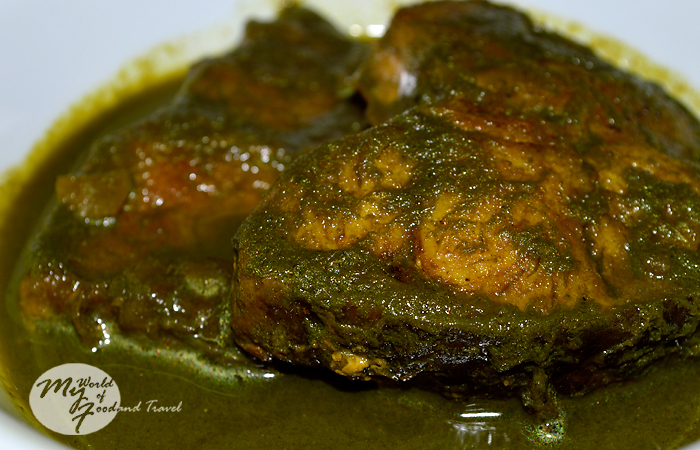 Let me share the recipe of this super healthy curry with you. Marinate the fish steaks in a little turmeric powder and salt for 15 minutes and shallow fry. Keep aside. In the same pan or kadai, heat some oil (I used mustard for that amazing kick to the senses) and sauté the onion and ginger-garlic paste till they turn brown. Add the cumin powder and mix well. Next, add the green chillies and then tip in the curry leaves paste. Stir till the curry leaves lose their fresh green colour a bit and are cooked. Now, pour two cups of water or the amount of gravy you want and let it come to a boil. Gently slide in the fried fish and add salt and pepper. Cover the vessel for around 5 minutes and let it simmer so that the flavours of the curry leaves and the fish are intermingled sufficiently. Switch off the gas, take the lid off and let the wonderful aroma of the fish curry engulf you. Serve hot with plain rice and enjoy this simple yet nutrient-packed dish. Oh, and in case you know of variants to this recipe, please let me know! Ya, I know...only our moms could make such dishes.. Thanks! Do try it out, but I don't know if it requires an 'acquired taste'. And use only tender leaves, otherwise the curry may become a bit bitter. Actually it's a very old recipe, very common in Assamese households...at least, that's how it was in my childhood. I just made this for lunch today!! It turned out so well n lists top on my fav recipes now! !